While the skillful use of lighting and the presence of water were key motifs among the most popular nighttime settings, some members praised enjoying the evening no matter where you are: “Mystery and theatrical power are enhanced at night.” We also asked members what made these spaces so captivating, whether seen by night or by day. Oh, For the Love of Butterflies (and Children)! 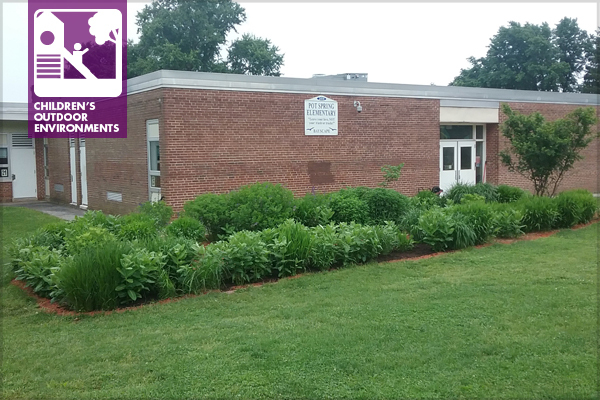 Located immediately adjacent to the school’s back door, the garden’s proximity to the pre-K, kindergarten, and 1st grade classrooms is no accident…it’s meant to be a part of the learning environment of the school. But each spring, after the snow melts and the mostly herbaceous plants have been dormant for many months, the Bayscape is a far cry from the vibrant, colorful, and exciting place of adventure the students might imagine when they think of gardens. It looks abandoned and forlorn, a mess that is almost lost in the open space of the school yard. It looks like it doesn’t have much potential for anything besides becoming a bigger mess! But, as a landscape architect, I know better. I can envision the possibilities of lush vegetation, brimming with life. I see a pathway that leads through the garden, and maybe even a hideaway for quiet viewing of ecology in action (and the blending of science and artistic expression) on a personal scale. I can see children smelling the brightly colored flowers, hearing the birds, touching the delicate (yet somehow tenaciously strong) leaves, and excitedly watching the caterpillars eating the milkweeds, then forming their chrysalises, and transforming into delicate butterflies. I can see it because I’ve helped the School staff, other volunteers, and children of Pot Spring create it before! The 2017 ASLA Annual Meeting and EXPO begins tomorrow, October 20! In addition to the events planned for PPN Live, each Professional Practice Network (PPN) Leadership Team also reviews the Annual Meeting education program to highlight sessions relevant to their practice areas. With over 130 courses, allowing attendees to earn up to 21 Professional Development Hours (PDH), it is an extensive program to explore, and you can do so through the Annual Meeting website and mobile app by title, speaker, topic area, and PDH type (LA CES/HSW, LA CES/non-HSW, AIA, AICP, CMAA, FL, GBCI CE, GBCI SITES, ISA, NY, etc.). The 2017 ASLA Annual Meeting and EXPO begins this Friday! In addition to the events planned for PPN Live, each Professional Practice Network (PPN) Leadership Team also reviews the Annual Meeting education program to highlight sessions relevant to their practice areas. With over 130 courses, allowing attendees to earn up to 21 Professional Development Hours (PDH), it is an extensive program to explore, and you can do so through the Annual Meeting website and mobile app by title, speaker, topic area, and PDH type (LA CES/HSW, LA CES/non-HSW, AIA, AICP, CMAA, FL, GBCI CE, GBCI SITES, ISA, NY, etc.). 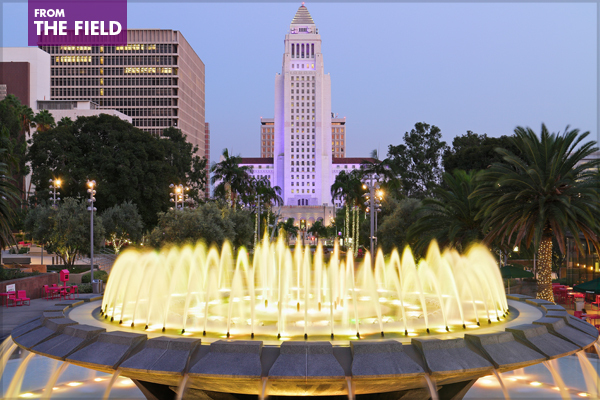 In addition to a full slate of Professional Practice Network (PPN) Meetings and PPN EXPO Tours set to take place during the ASLA Annual Meeting and EXPO in Los Angeles, here are two special events to add to your annual meeting plans: the EXPO Reception featuring the PPNs on Sunday, October 22, and the Women in Landscape Architecture (WILA) Walk on Monday, October 23. Free for all meeting registrants. Meeting badge required. 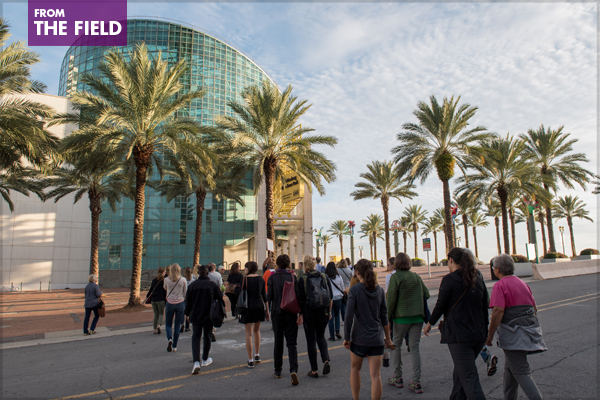 Non-registrants may purchase an EXPO-only pass at onsite at registration or on the ASLA mobile app ($85, professionals; $20, students, with valid student ID). Networking doesn’t just happen online! Join fellow PPN members in person to make connections with friends and colleagues and discuss how they are contributing to the landscape architecture profession. 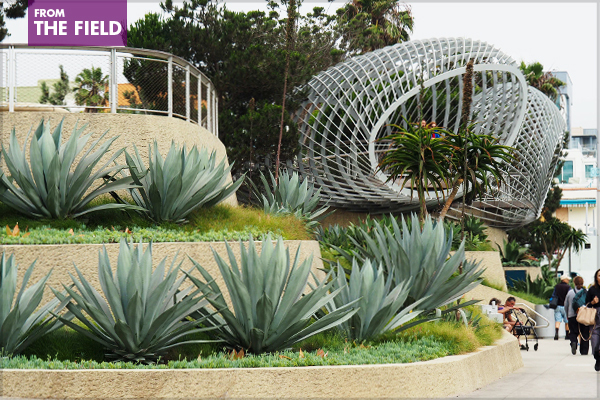 Two PPN EXPO Tours are also scheduled for 4:30 – 5:30 pm during the reception—Parks & Recreation and Planting Design. These are show floor tours designed to highlight PPN topic areas, offering attendees the opportunity to learn about new and improved techniques and how these improvements and services can assist in creating a successful design project. Tours will provide one professional development hour (PDH) for attendees. Tour sign-up and departure take place at PPN Live on the EXPO floor, and tours will be available to the first 30 participants to sign up. See our previous Field post for more information on all 9 PPN EXPO Tours scheduled to take place October 21-22. 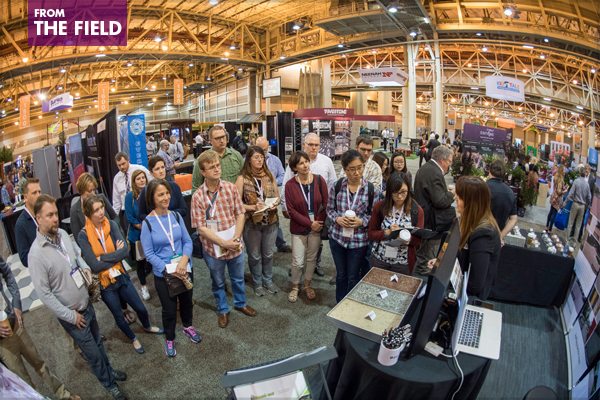 Returning this year after a successful debut in New Orleans in 2016, don’t miss out on this exciting opportunity to learn more right on the EXPO floor at the ASLA Annual Meeting and EXPO in Los Angeles. 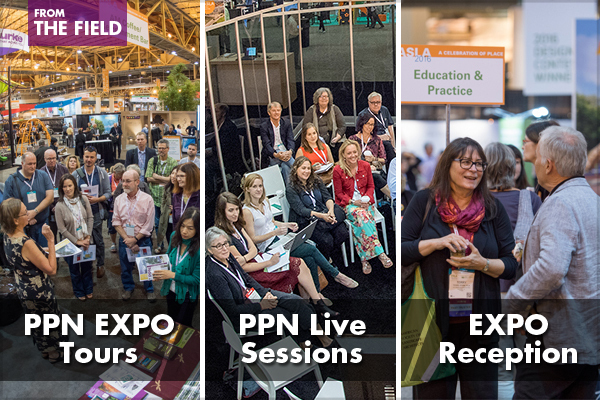 The Professional Practice Network (PPN) EXPO Tours are show floor tours designed to highlight PPN topic areas. The tours offer attendees the opportunity to learn about new and improved techniques and how these improvements and services can assist in creating a successful design project. Tours will take place on Saturday and Sunday, October 21-22, during EXPO hours and will provide one professional development hour (PDH) for attendees. 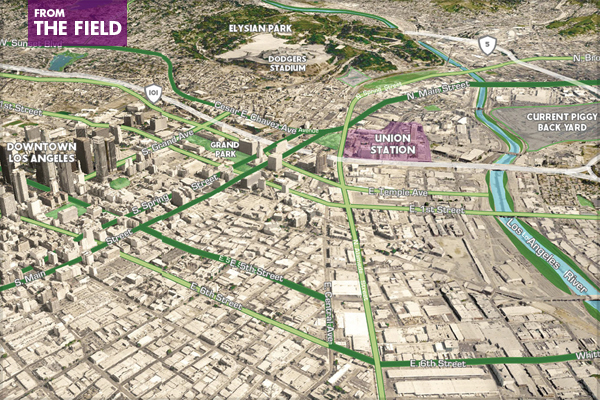 Tour sign-up and departure will take place at PPN Live on the EXPO floor, and tours will be available to the first 30 participants to sign up. See below for more information on each tour, or click the tour title above to jump ahead to that tour’s information. 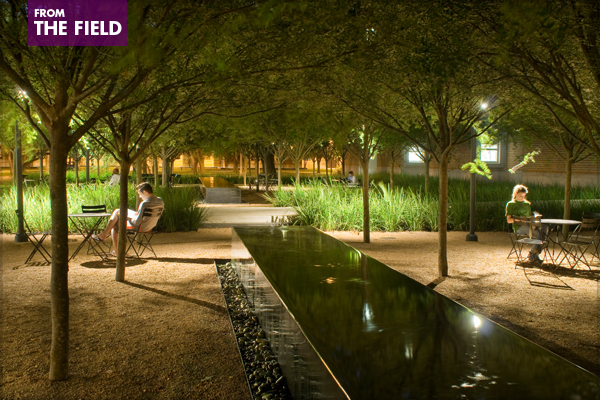 When we asked ASLA’s Professional Practice Network (PPN) members what place has the most potential to be transformed by landscape architecture, the top answer was perfectly clear: cities came up again and again in the responses. Specific cities that were mentioned include Los Angeles, Detroit, Houston, Memphis, New Orleans, Atlanta, St. Louis, Seattle, Oakland, Utica, Washington, DC, and Hong Kong.